The tea plant or bush is a shrub belonging to the Theaceae Family. Tea originally came from Southern China, and from there spread to Laos, Vietnam, Burma and Northern India. The wild shrub » Camélia Sinensis », from the same family as the Camellia, was first grown in tea plantations in China, on hillside and mountain terraces. Another variety called Assamica, more robust and sturdier, flourished in lowlands. The first recorded shipment of tea arrived in Europe from Java at the beginning of the 17th century at the port of Amsterdam. The Dutch and the English had the monopoly on trade until France started intensive cultivation from the 18th century in its new colonies. 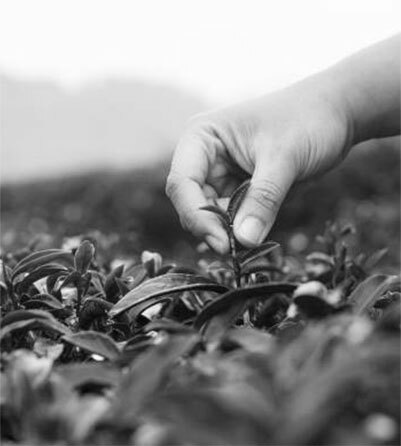 Today tea is grown wherever the climate is favourable to its development and the full flowering of its flavours. There are an infinite number of varieties and vintages, refined and prepared according to taste and methods. 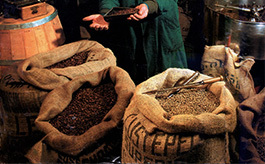 Some harvests, depending on the time of year and the quality of the tea are particularly prestigious. 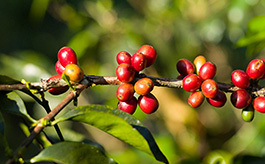 For the handpicked crop called « fine plucking », only a few top young and juicy leaves with a portion of the stem on which they have grown and the bud or tip are picked. The result is the most fragrantly delicate and coveted tea. It is said that the wild shrub « Camélia Sinensis », from the same family as the Camellia, was first grown in tea plantations in China. Plants have always been infused to prepare « simples » or herbal remedies. As infusions have been popular since the time of Marco Polo, tea was less unusual, less exotic than coffee in 17th century Europe. These two recently imported « liqueurs chaudes exotiques », tea and coffee, often come from the same territory, in particular from Africa, without necessarily sharing the same regions. 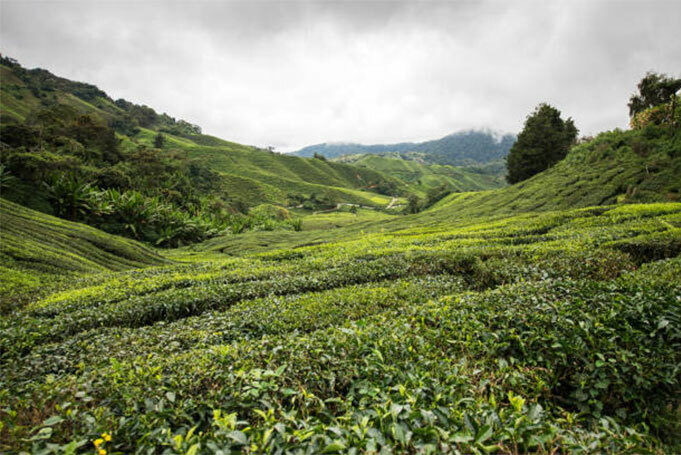 Both tea and coffee most frequently thrive at a high altitude, in humid conditions and in rich soil. 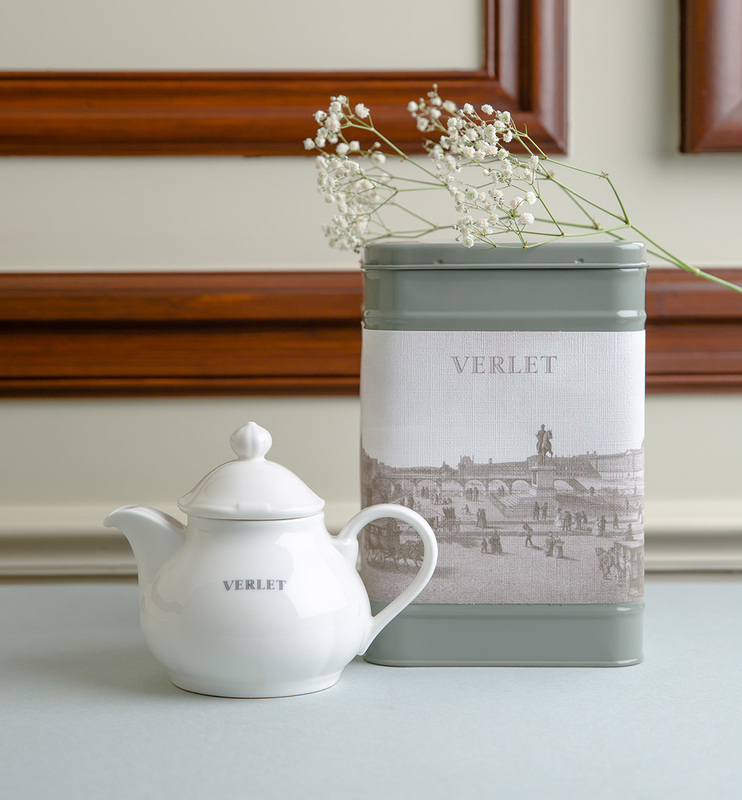 The relatively simple and economic preparation of tea is received with less enthusiasm in France, especially as the rivalry with the English, where tea became the preferred drink, fueled a particular disdain for this expensive but less entertaining staple. Tea is however ranked among salutary beverages and its consumption boasted stimulating and digestive virtues. For a long time British and Dutch companies held a monopoly on both its trade and importation before other plantations expanded and diversified its origins. 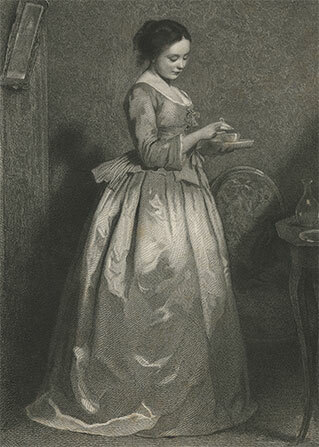 Tea, most especially favoured by women, but for a long time overtaxed, remained a luxury item which struggled to conquer the French market. 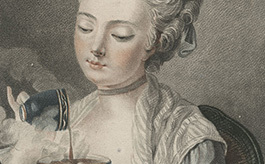 The production of glazed and porcelain tableware for the consumption of these new « liqueurs chaudes exotiques » flourished in the 18th century. Teapots and strainers took pride of place in precious alcoves and on shelves. 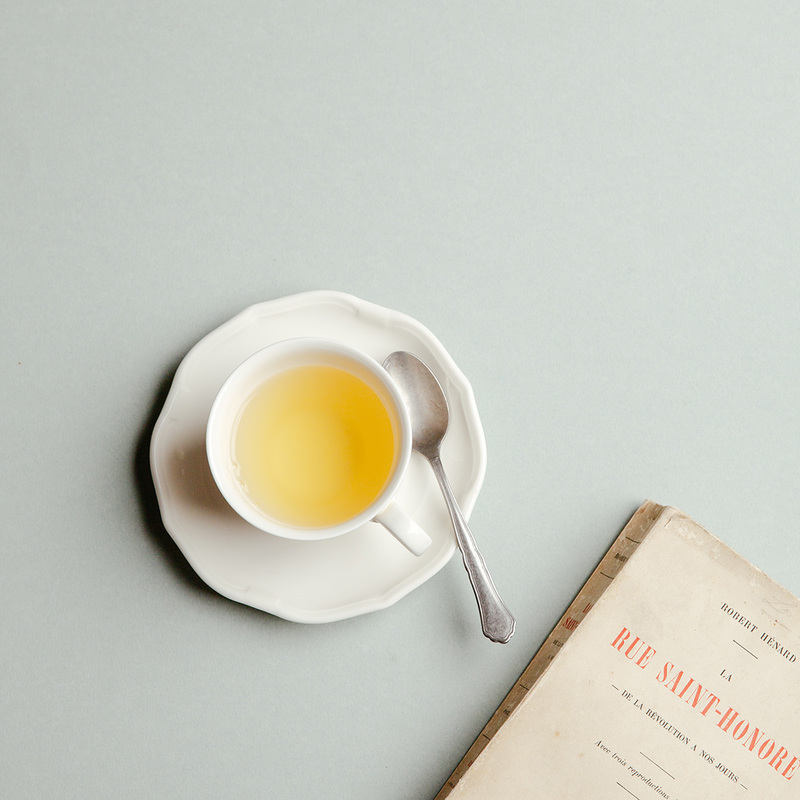 In the 18th century, the French aristocracy, influenced by English manners and fashion, adopted tea drinking which became a sign of the elite. Prints and paintings portray « thé à l’anglaise » and afternoon tea began to be accompanied by fruit and sweet pastries. 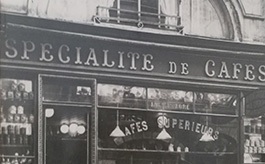 The production of glazed and porcelain tableware for the consumption of these new « liqueurs chaudes exotiques », tea and coffee, flourished in the 18th century.